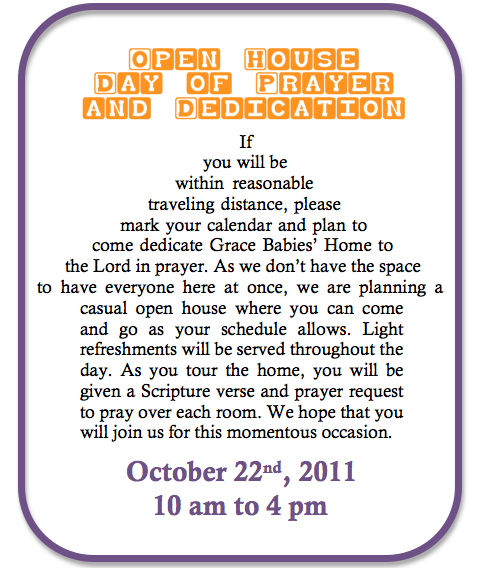 Grace Babies' Home Blog: You're Invited! For Directions to Grace Babies Home, click here. To View Our Target Baby Registry, click here.